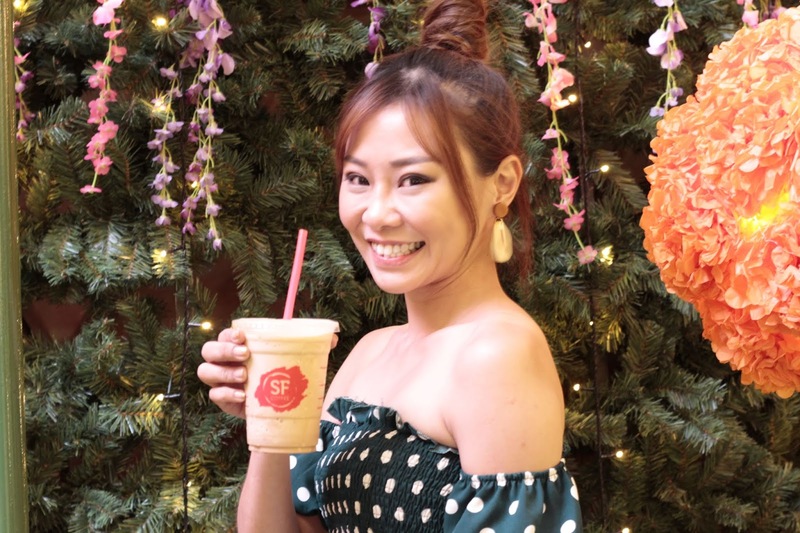 Coffee lovers can now drink to their heart's content with the "Wave2Win" contest at San Francisco (SF) Coffee! And win prizes up to RM225,000 in just 3 steps! 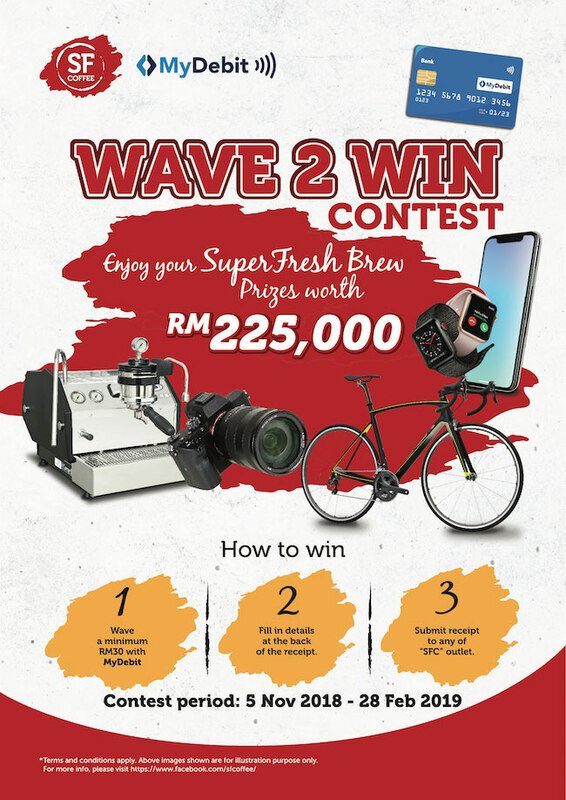 This contest runs from 5th November 2018 - 28th February 2019 and two lucky will win a RM40,000 LaMarzocco Coffee Machine, Coffee Grinder and Professional Coffee Training! San Francisco (SF) Coffee is always about creativity,personality and lifestyle which is why other prizes such as DSLR Cameras, Mobile Phones,Marshall Headphones and Apple watches are in the prize list as well! 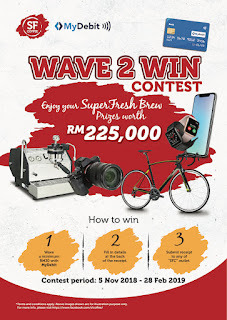 So remember when you are at San Francisco (SF) Coffee, simply pay with your Debit Card (RM30 in a single receipt) and fill in your information behind the receipt and submit your entry in the “Wave2Win” designated box at any SF Coffee outlet! 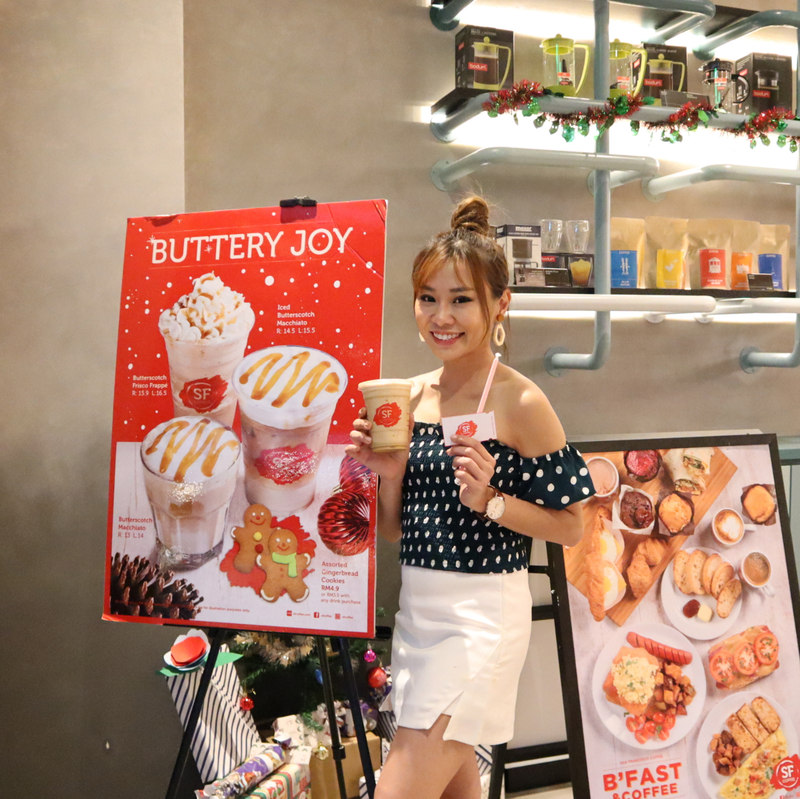 In addition to the exciting "Wave2Win" competition celebration, 2018 also marks the extraordinary year of SF Coffee, with a total of nine new stores, the new 46th new store in Capital City, Johor - first SF Coffee branch in the southern region. Lift and Firms your skin from home! What would you do if I told you there is a skin care device out there that could fight the signs of ageing and give you the benefits of salon treatments, all in the comfort of your own home? Well, I recently discovered a beauty gadget from Taiwan known as the TryMe 2in1 Hot Spa Shell Machine [ 溫熱SPA貝殼機] So let’s check out this miraculous device that is able to lift and firm your skin! TryMe 2in1 Hot Spa Shell Machine. What is it? this palm size device is an easy to use mobile beauty device which is shaped like a shell and aimsrejuvenate and stimulate your skin to better health by using optimal temperature (42 degrees) to promote collagen production. This device helps to deliver antioxidants, vitamins and peptides from your essence, serum or moisturizer to your skin faster via the micro current and micro vibration. Red light or LED from the device helps to reduce the appearance of fine lines and wrinkles, this is because when our blood vessels relaxes, increased blood circulation aids in cell repair thus younger looking results. The Titanium coating on the application part of the device allows for smooth serum application and easy to clean surface. How to use? The TryMe 2in1 Hot Spa Shell Machine comes with a USB Charger, so it is really convenient to bring around even when traveling. This device can be charged via a power bank or laptop too! Perfect ‘on the go’ product. The light indicator will be red during charging. The device might feel a little warm when charging but there’s nothing to worry about. To power on the TryMe 2in1 Hot Spa Shell Machine, all you have to do is press 2 seconds on the power button [ do the same to switch off ] As the machine is switch on, there are 4 settings. Press 4th Time: Constant Vibration with LED Light The TryMe 2in1 Hot Spa Shell Machine beats at 8000 RPM which gives deep vibration and relieves pressure and ease tired skin, while the heat from the device improve blood circulation and increase metabolism and this will effectively relieve fatigue. Once you have your desired setting, simply apply essence, moisturizer or serum onto the face and using the titanium side massage the forehead, eye area, cheeks, and jaw line in an upward motion, remember to keep the device constantly moving.I personally love the 4th setting, which is also the setting I use on my face every night. The device will only heat up to 4 degrees to promote collagen production so you don’t have to worry about burning yourself. The first time I used it I thought I was going to burn myself, Lol which is why I am reassuring you that you won’t. The TryMe 2in1 Hot Spa Shell Machine can also be used for lymphatic drainage, and to target certain body parts such as shoulders, neck , calves and arms too. However do remember to apply either body lotion, body firming gel or essential oil before using the device on the particular body part. I love innovative people because they are the ones who make my life easier and here with me today I have another new product which was sent to me to review. This product is a local product which has been featured on Malaysian National TV , TV3. 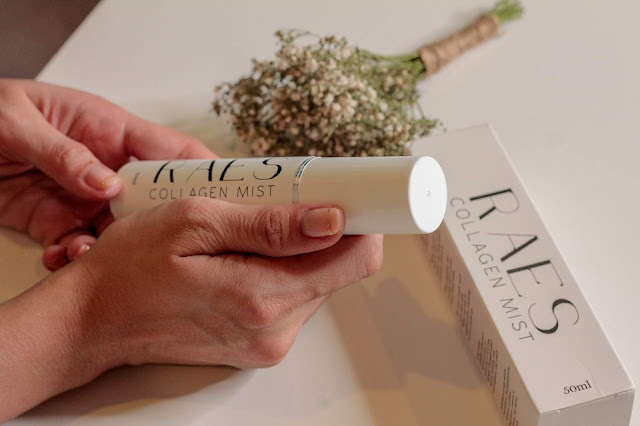 The RAES Collagen Mist is a soothing, hydrating mist with Hyaluronic Acid to keep our skin refreshed, moisturized and constantly renewing our skin. The main ingredients are Propolis Extract, Aloe Vera and of course Hyaluronic Acid. And RAES Collagen Mist is easy and convenient to use, all you have to do is spray it on your face when you need a pick me up. In terms of the packaging for a local made product I would give it a thumbs up! Very simple and compact. It easily fits into the handbag. Aloe Vera has been used for many purposes since the ancient Egyptians called it the “plant of immortality.” i myself own many pure Aloe Vera gels which I use to treat burns, itches, and bites. Aloe Vera also does a great job at calming the skin. Propolis Extract on the other hand is another powerful ingredient found in the natural world. It can help reduce pigmentation, inflammatory redness, boost collagen and offers antioxidant protections from environmental aggressors like pollution, sunlight and radiation. This is the first product that I'm reviewing which contains propolis extract. Personally, with the RAES Collagen Mist I find that my skin appears brighter, and my inflammatory red acne marks fade more quickly as propolis is known yo be gentle to the skin. I would say that this product is worth the try, but Personally I wouldn’t repurchase unless the hubs( yes Hubs use Mist instead of Moisturizer) wants to continue using this as the RAES Collagen Mist has a light fragrance which I do not really like. It has a floral smell, somewhat like Rose but not quite like it as it smell much sweeter than what a rose would smell like. RAES Collagen Mist is great for those that seek convenience, unlike myself. I would recommend this to guys as they tend to be less like us girls who enjoy our daily skincare routine so If you guys would like to try or would love to get this for your partners do check out the links below. Drink to a new You with ACERA! I have been writing a lot about negative ions recently, from facial cleansing devices to stone spas. So today I am going to share another ‘negative ion’ product I recently found out that can be beneficial to your health. Do you carry a tumbler or a water bottle with you when you go outdoors? Do you have your own private cup at home? Well I do, I carry my Red Water bottle with me at all time, because we all know how h2o can benefit us and keeping hydrated in this weather is a must and I also have my own personal pink cup at home which I do not share with hubs or the kids. Lol, but all those was yesterday’s story. Today, I have a Ceramic tumbler from ACERA which I got from Tian-I Shop and I simply fell in love the moment I had opened up the box. Ceramic has always been an Oriental treasure with a history of over 1,000 years and it represents Chinese art and culture. ACERA which was founded in 1986 by Yu Chun-Ming, is a Taiwanese brand. 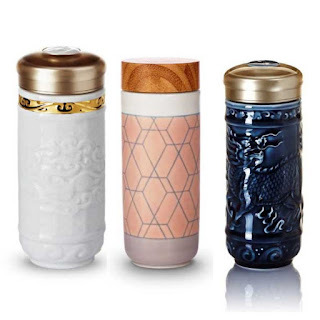 ACERA is well known for their ceramic products such as travel mugs, tea sets, housewares and wellness series. 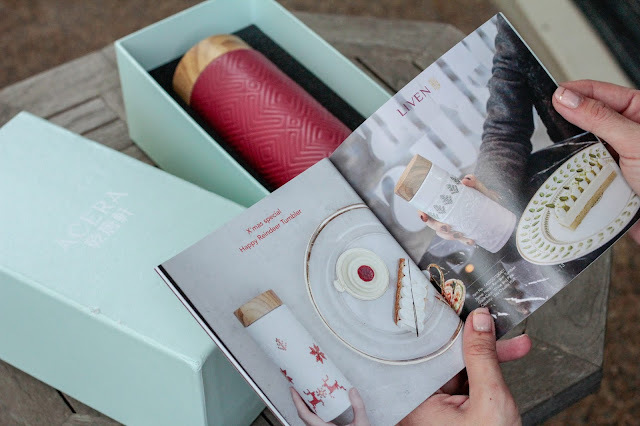 Each and every piece from ACERA is handcrafted with delicacy and every piece is decorated by hand and all this requires more than 70 steps, the moment you hold the mug in your hands I am sure you will fall in love just like how I did. I got myself the The Miracle Tumbler from the LIVEN collection despite the price tag. What is so great about the ACERA LIVEN tumbler? Well, I was like you doubting and questions why and what is so great about this until I had my hands on them, I had all the answers I need and I am actually getting another one as we speak; for the hubs. They make a great gift and yes, Christmas is around the corner. Opps, no surprises for him I guess. LOL. 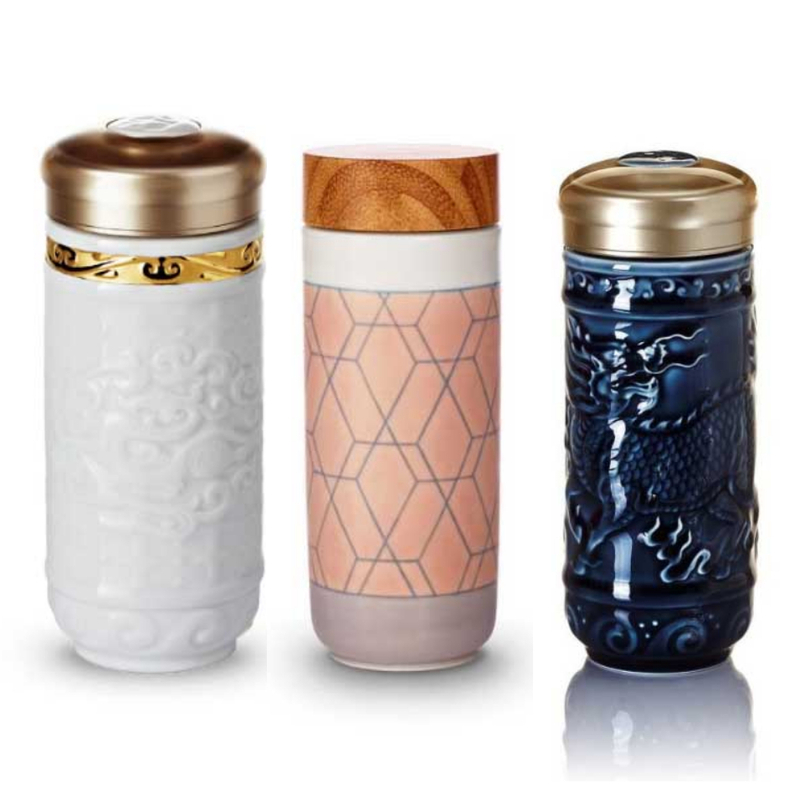 Ever ceramic piece of from ACERA is so well crafted that looking and holding it make me happy already, the LIVEN tumblers are also glazed with valuable white tourmaline as part of its patented manufacturing process, the LIVEN Series utilizes a far range infrared (FIR) technology pioneered by ACERA. White Tourmaline is an amazing gemstone and is compounded with elements such as aluminium, iron, magnesium, sodium, lithium or potassium. The tourmaline gemstone itself is known to aid in relieving stress, increase mental alertness, improve circulation and strengthen the immune system. Spiritually, Tourmaline promotes inspiration and happiness, reducing fear, and building self- confidence and balances yin-yang energies, whereas from the scientific standpoint, tourmaline is known to generate a weak electric current, producing far infrared rays and converting moisture in the air to negative ions. We all already know the that negative ions are beneficial to the human body while positive ions are harmful. Where do we find negative ions? The highest concentration would be in natural clean air especially around waterfalls, oceans, beaches or after a storm. Natural clean air is rather hard to find these days unless I live in the forest or mountains of which I don't intend to which is why I got this tumbler instead. 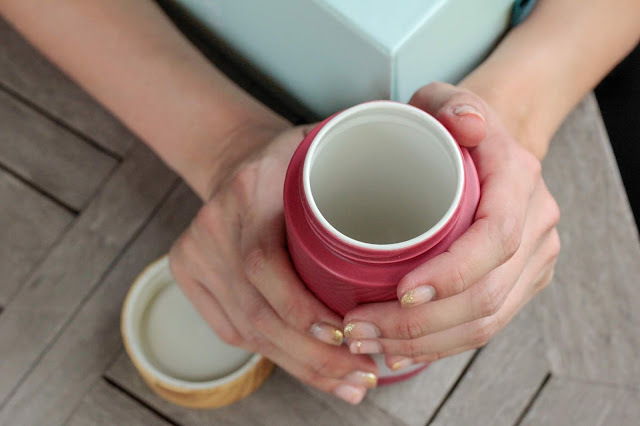 I am really enjoying my new tumbler and if you wish to find out more about this you may check out Tian-I Shop and every piece from ACERA makes a great gift as well as an awesome collection! I am already planning to start my own collection of ACERA because I simply cannot resist their beauty. Christmas is around the corner so if you haven’t gotten your friends or loved ones a gift, you may consider giving them the tumbler of health. Spread Health; Spread Joy and have yourself a merry little Christmas! I am going to add these into my collection soon! 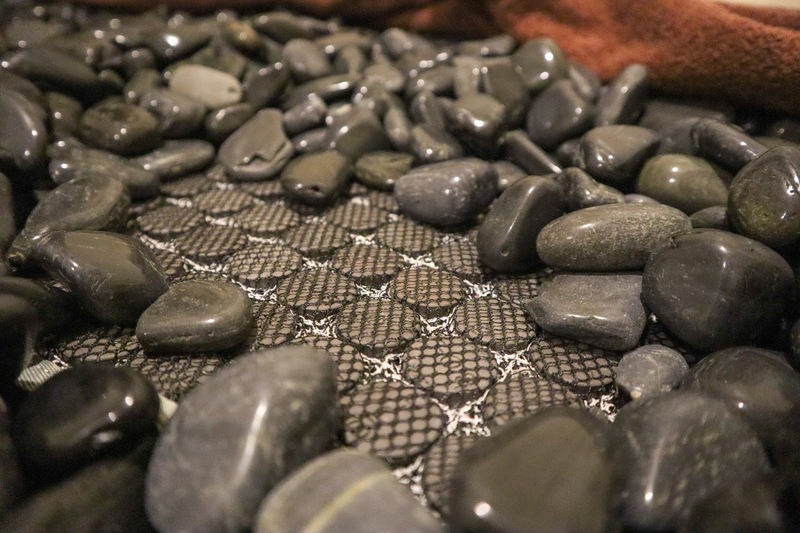 How can Stone Spa benefit your health? We all work so hard to earn a living, and there is simply nothing better than being able to kick back, relax and pamper ourselves especially after a long hard day at work or a day of seemingly endless chores. Living in a fast paced world it is so important to take time out just to relax and have some me-time. My me-time mostly comprises of messages and spas as it is really the only time I can wind Mown and forget everything for a little while. So, last week I visited a new spa; Day More Stone Spa which has just recently open its doors. 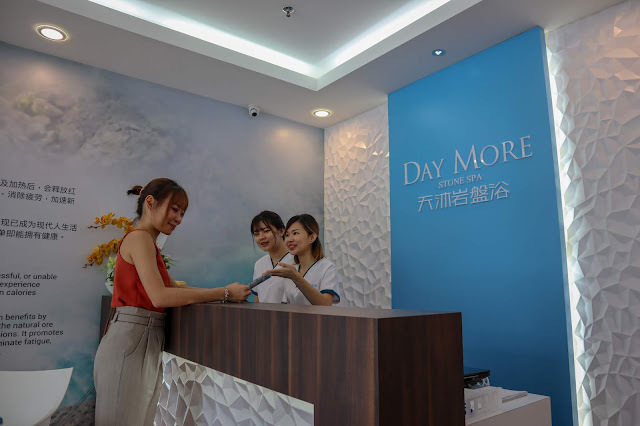 Day More Stone Spa Penang is located at EGate Penang and has recently opened another branch in Bangsar Village, KL. The concept of Day More Stone Spa is the first of its kind in Malaysia. Stone Spa originated from Tamagawa Onsen in Akita Prefecture, Japan. Stone spa has been confirmed to bring health benefits by experts as upon heating by volcanic activity, the natural ore emits far infrared rays and releases negative ions. Stone Spas promotes natural healing process, improved vitality, eliminate fatigue, accelerates metabolism and also expels toxins. So if you've heard of onsen or Ganbanyoku then this would be somewhat similar. At Day More, 5 natural rare ores that radiates far infrared rays and releases negative ions. Far infrared rays will heat the body and improves blood circulation while negative ions will increase overall well-being, improves mood, reduces negative emotions such as anxiety, worry, sadness. It is able to neutralize the effects of stress, eliminate sleep disturbances and improves mental immunity. I was also told that Stone Spa is actually very popular in Taiwan, Japan, and Korea and many celebrities actually does the stone spa to maintain their health and beauty. Know it: An ore is an occurrence of rock or sediment that contains sufficient minerals with economically important elements, typically metals, that can be economically extracted from the deposit. The ores are extracted from the earth through mining; they are then refined (often via smelting) to extract the valuable element, or elements. Radium Ores, are known to release large amounts of highly concentrated quantities of negative ions and also emits far infrared rays which are beneficial to our bodies as it facilitates health improvements and promotes beauty. I have previously share before about the benefits of negative ion for a beauty device I use, you can read about it Here. Energy from the Radium Ores can regulate our nervous system, enhance blood circulation, lower body fat and visceral fats, improves heart and lung and overall health and beauty. Negative Ions and Far Infrared Energy Stone, regulates the balance of human ions, which allows our body and mind to relax while activating cells and inhibits oxidation or aging of the body. Far infrared rays promotes skin metabolism, strengthening of sebum secretion and promotes blood circulation as well as cell regeneration. Negative Ion does a great job in enhancing our immune system and boosting out blood oxygen level. We tend to sleep better with this energy too!. Beitou Stones is a well known Miracle Stone in the east, these stones are most commonly found in Tamagawa Hot Springs in Japan, and it is said that this stone can heal almost all illness. Black Lead is a kind of graphite found in the deep ocean hundred of million years ago, and has recently being pilled up on the seabed in recent years. It has being reaffirmed that black lead can improve water quality, soil deodorization or sterilization. When heated, black lead emits far infrared rays and releases negative ions. My Experience of Day More Signature Stone Spa. Before the session began my body stats were measured, weigh, BMI, Fats etc. This stone spa can actually give immediately results [depending on individual ] I read that some individual have manage to lose a few pounds too. So I was provided with a towel and was ushered into the bathroom for a shower which got me a little confused as we usually shower after the session and I was told that even after the stone spa session, I do not need to shower again despite all the perspiration. I was a little bit taken aback because I am not the kind of person that could stand the stickiness or smell from my perspiration, oh well let’s see. I like the fact that even the shower heads at Day More are infused with stones and all the necessary toiletries such as hair conditioner, shampoo are provided. I was then ushered into the treatment room where there were beds filled with stones, being skeptical I reaffirmed with the friendly therapist if I'm suppose to sleep on that bed of stones, it must be rather uncomfortable I thought to myself. As I lay down on the bed, I didn’t feel the rockiness or bumpiness instead it felt warm and comfy. The top cover will be closed down and only the area above my neck can be seen. This whole treatment will take approx 60 mins. The temperature of the stone bed is capped at 40 Degree Celsius which feels just nice, it might feel a little warmer in the beginning as our body gets use to it. This temperature allows our body to gently releases sweat while expelling toxins from the body. I was reminded from time to time by their therapist to drink plenty of water and stay hydrated which I ignored and regretted, I will tell you why soon. 60 mins sleeping on this Stone Bed is actually equivalent to running a 30km Marathon. They were not joking when they said this, I was drenched wet by the time the 60 mins was up. I was also given their “Signature Head Guasa’ session about 10 mins after I layed down on the bed, the therapist uses a tool and massages my head and neck, truth be told I was scared because most massage places I go to, I do not allow them to massage my head because I will have a headache soon after they are done. I really wanted to see how this ‘Signature Head Guasa’ will be different because I have been suffering from the worst Migraine I have ever experienced for 3 days before I came here so I don’t think any massage can get the migraine worse than it already it, on the bright side of life this Head Guasa might even heal the migraine! I went home feeling all relax and happy, and the pain from the migraine has reduced significantly, I wouldn’t say its not there but it doesn’t bother me that much anymore compare to the day before, but that night I was so thirsty that I think I drank a gallon of water. Lol. I was running to and fro from the bathroom that I lost count. I think this is why the therapist keep telling me to drink more water and stay hydrated during the treatment, so please do remember to drink plenty of water when you go ok, actually we should be drinking at least 2 liters of water on a daily basis. So completing the 60 mins ‘Stone Spa Treatment and being drenched wet, to my amazement my skin wasn’t feeling sticky or smelly at all, it felt really smooth just like what babies skin feels like. Yup, I didn’t take a shower after that because there really is no need too. I also did the Signature Meridian Therapy and Signature Female Meridian Therapy at Daymore Stone Spa Penang. What is Meridian Therapy? Meridian therapy is somewhat like acupuncture where your acupoint is treated but uses other strategies to stimulate the points such as electrical probes and low-intensity laser. Meridian therapy techniques restore energy flow through the body’s twelve meridians. It works in a variety of ways to release blockages and restore balance in mind and body. This technique has been well know and used in the east for healing and energy balancing. My Meridian Therapy Experience was really great. Before the treatment begin, a cream which is specially blended by Day More is applied to my back. This cream consist of ginger which is great to expel winds. A device is then used to go around my back. It feels like a pin and needles as it goes along the back, it felt funny a first but then soon the feeling becomes familiar and it feels rather comfortable. On some areas the intensity felt a little stronger, mostly on those areas that I have been hurting a lot such as my underarms and shoulders. This meridian therapy will help loosen our nerves and help increase blood circulation and is great to de-stress. The Female Meridian Therapy was totally different from the previous as no external devices were used but only the therapist bare hand against the body’s acupoint. This treatment is only for the ladies as this treatment can help ladies who has PMS, or disturbed monthly period and also women who is undergoing menopause. This treatment also help to release water retention and the digestive system. It is good to do this treatment once a month to keep our womb and ovaries in good health. 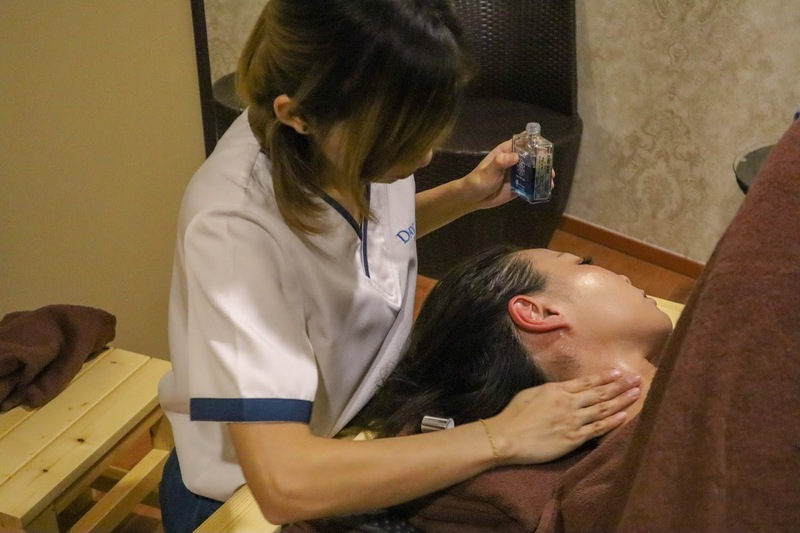 Once you are done pampering yourself, you can freshen up at Day More Stone Spa Penang with no worries as everything is already provided for you. A cozy section is available for you with amenities such as hair brush, hair dryer, lotions and all. 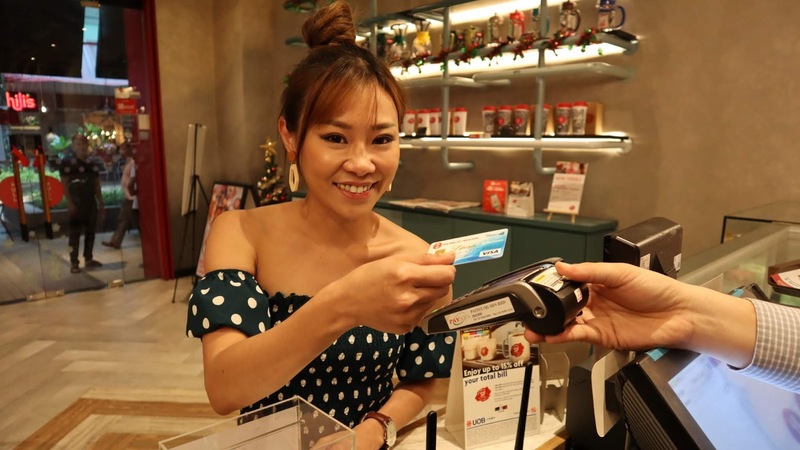 So if you are feeling a little weary, allow me to suggest that you try out “Day More Stone Spa” since we don’t have onsen here in Malaysia to go too. The stone spa will surely help you relax and equipped your body with the elements that its deficient in. The warming sensation will improve your blood circulation and metabolism and you will see the effect preeminent in both beauty and health. Check out the links below.